Playground Games has detailed the Update 6 for Forza Horizon 4 which is bringing with it a brand new Horizon Story and special Hoonigan Clothing. 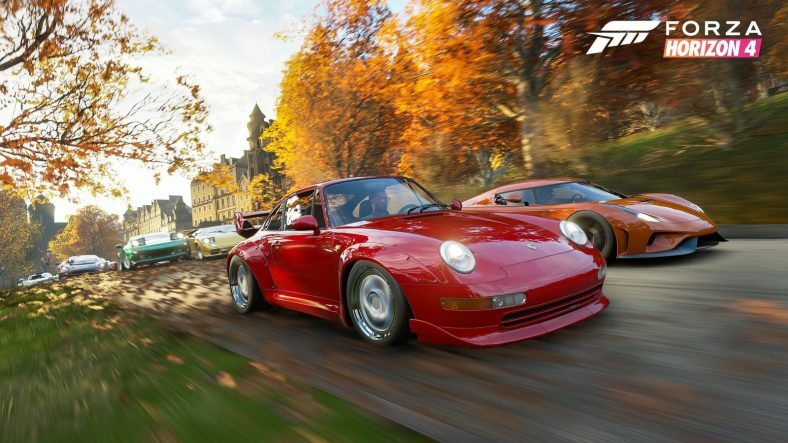 Also coming to Forza Horizon 4 is the new update are seasonal Playground Games and new content in various disciplines. The new Horizon Story is dubbed Skill Streak! and will brand new missions which will focus on skills. Judging by the name, we can easily say that this will need high skillscores and is all about showing off your skills while throwing the car around. Horizon Stories are short mission based stories which test your skills in a specific scenario and then upon completion, give you a decent prize. In addition to the brand new story, Playground Games is also adding new Hoonigan themed clothing to the game. Forza Horizon 4 has introduced character customizing for the first time in the franchise and the new Hoonigan merchandise will surely please fans who love to hoon around in their custom builds. Fan favorite Playground Games King, Flag Rush and Survival will also appear in Seasonal Events after the update is released. Before the update, only normal race events came as Seasonal Events. However after the new update is patched in, players will also start getting King, Flag Rush and Survival as Seasonal Events. Along with these major additions, Update 6 will also bring tons of new content to the game in the following days. New content includes new Seasonal Events, Trials, PR Stunts, Forzathon Challenges and most importantly, new Exclusive Cars. New Rival Events are also part of this content mix planned for the game. Playground Games is really working hard on Forza Horizon 4 and it is turning out to the the best racing game of this entire generation. The new mode of adding DLC vehicles in the game and giving out exclusive vehicles regularly along with new short DLC content such as new Horizon Stories is really pushing the life of the game even further. Forza Horizon 4 is now out on Xbox One and Microsoft Windows.